Here is an all-too familiar hypothetical in workers’ compensation (“WC”). The insurer denies the claim, and the injured worker must then go before a Hearing Officer in order to get the denial reversed. Unless the injured worker knows their way around the system and applicable laws, it is always advised to be represented by an attorney at the hearing and throughout the claim. The Hearing Officer reverses the original claim denial, and you win, however the insurer appeals the decision and the injured worker appears before the Appeals Officer for the most important hearing, making this stage of WC having the most impact and finality. The injured worker wins again, and the insurer does not appeal the decision. Therefore, the insurer will have to administer the claim with full benefits after the relevant time frame once the Decision & Order is filed by the Appeals Officer. In the injured worker’s mind, they won, twice! That means that they should receive all benefits under the claim, including immediate compensation for the retro-back pay, also known as Temporary Total Disability (“TTD”) for any days generally missed from work. See NRS 616C.475. But, the unfortunate challenge the injured worker faces is the insurer may very well deny the TTD, even though the Appeals Officer ruled the insurer must accept the claim and pay benefits. How can insurance companies do this? One very common argument made by insurance companies is that the denial of TTD is proper because since the onset of the industrial injury (one the insurer did not think was industrial, but were wrong), the injured worker may only have seen a doctor one time, typically right after the industrial injury occurs. Then, solely because the insurer denies the claim, the injured worker does not see a WC doctor unless they go to court and win the case. This could be months without seeing a doctor! 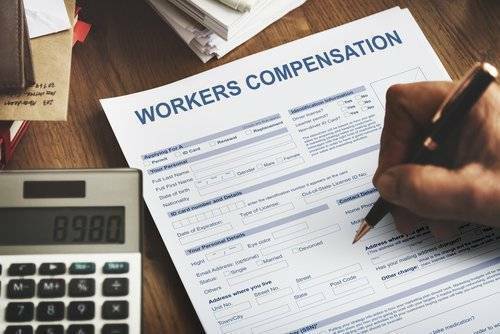 Some insurers’ position is that regardless of essentially creating these circumstances for the injured worker, no doctor has provided an off-work slip or industrial restrictions. Furthermore, once the claim is accepted and is being administered due to the court order, the injured worker will then see a WC doctor who may either take them off work or give restrictions the employer will either be able or not to accommodate. If either occurs, the insurer generally owes the injured worker TTD. However, once the injured worker sees the doctor and receives restrictions, many insurers still deny the TTD! Some insurers claim that although the injured worker had restrictions in the beginning of the claim and now months later, the gap in between somehow does not comport with the law to be paid TTD. Yes, this happens all too frequently, and is abused by some insurers, making it a fight to be paid for being injured on the job. Because this and many other issues in WC are a fight, it is advised you seek an experienced attorney who is able to assist in obtaining all benefits that you are entitled to under Nevada law.